Parenting tweens is hard. And this is before we even hit the teens! Too often I find myself looking for it…. One piece of advice or a tip that will change everything. How to stop the complaining right now. Squash the sibling battles – immediately. Please give me “trick” to bring my kiddos to perfect obedience (Yes, the first time I ask). Friend, I want you to know something. 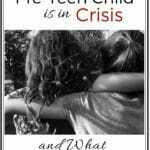 If you are looking for a solution to a tween parenting struggle- that is a good thing, and I’m so glad you’re here! But as you’ve likely experienced in this parenting journey – a temporary solution is often no solution at all. We are so excited to share tips, advice and encouragement with you over this next month. But we also know that there is no such thing as a quick fix when it comes to parenting tweens. Parenting the heart is for the long haul. It’s many intentional steps, repeated over time. That is how we encourage our children to grow fruit. Sounds exhausting? Already tired? I know friend, but hang in there… as we have a God who is GREATER! That is why we are coming together for this blog party – to draw near to Him and build each other up! So you may be asking yourself – if we’ve taken the quick fix out of parenting our tweens, what should our focus be? A temporary solution in tween parenting is often no solution at all. 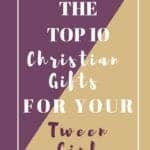 What is the best thing we can do to navigate the tweens in a way that honors God? We need to pay attention to our starting point. Before teaching, correcting, training and caring for our children let’s ask. Are we being intentional in caring for our relationship with God? Believe me, I don’t say this to bring on the guilt or because I have this nailed down – I don’t! I am simply sharing my experience. When I am spiritually struggling, the difference in my parenting is night and day. Any good advice, tips or direction I receive, quickly falls to the ground. As our kids grow, this doesn’t seem to change. I have seen evidence of this truth clearly. Both in the hills and the valleys of parenting so far. In navigating parenting and life, I am nothing without HIM! He will give us wisdom. He will give us patience. He will protect our children. As much as we want God’s best for our kids, He does too. He also loves US immensely and He wants His best for us in parenting our tweens and beyond! We can’t compromise our starting point in tween parenting. We must take intentional steps in His direction daily. Let’s take a step back and prepare our hearts to hear it. Can we commit to digging deeper? Go deeper in our relationship with the Lord FIRST, then step out to parent our tweens. Let’s pay attention daily, to our starting point. Lord thank you for bringing this event together! Thank you that you truly give us all that we need in parenting these tweens even when it’s hard to see. I pray you draw these parents hearts towards you. Would you speak clearly to them? Please give them a fresh view of their relationship with their tweens – your view. Would you help them to be willing to fight to keep their relationship with you as their starting point? Please help them to see what that looks like in their individual lives. Guide them, lead them and protect them I pray. Amen. Alright parents, here we go! Are you ready? 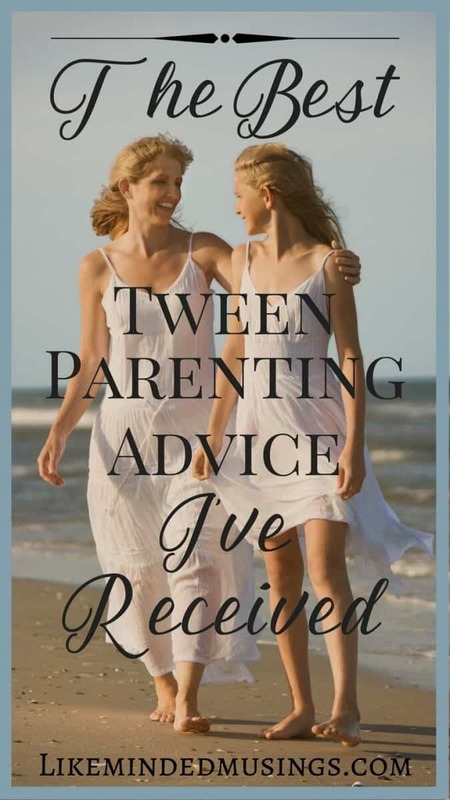 Here are some first steps to help you get the most out of this Tween Parenting Encouragement! 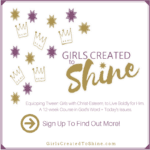 Sign up below to receive Tween Parenting Tips, Tools and Free Resources. Join our private Facebook group for Biblical Parenting Encouragement. 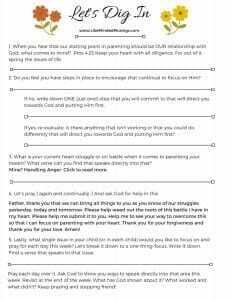 Grab your copy of this reflection worksheet from the FREEBIES HUB to walk you thru what you heard today. 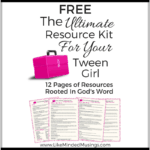 Download your FREE copy of the ebook for more help and encouragement on parenting tweens today! Did you miss the other days in the series? 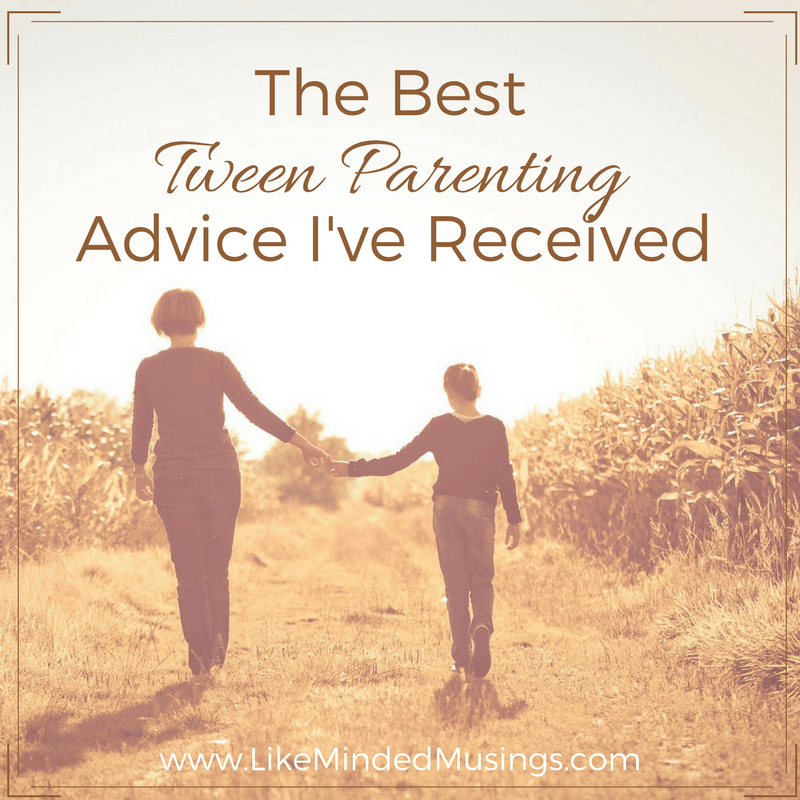 Are you looking for more Tween Parenting Posts from Like Minded Musings? I am late reading the first post of this phenomenal series. What a perfect reminder to spend time with the Lord, making sure we are starting from the right starting point–our relationship with Jesus–before we even consider parenting our tweens. You mentioned “digging deeper,” and I wanted to say if there is anyone out there who is struggling to find a tool to help you do just that–dig deeper into God’s Word–or even just dig, 🙂 the devotions at my site could help. I only publish on Mondays, and you can work through a devotion in one day or one week. You can spend 5 minutes with it or several hours, or anywhere in between. 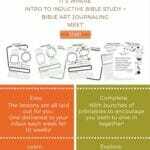 They include scripture, devotional thoughts, questions for reflection, and worship songs, so you can make them your own and do the parts that make the most sense to you. You can also choose a series, and do a new devotion daily. You can find these over at http://www.DiggingDeeperwithGod.com. I can’t wait now to read all of the posts in this tween parenting series! 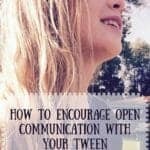 Christine Drews recently posted…Tween Parenting: 3 Surprising Reasons to Say YES to Your Tween! Awesome Christine! Thank you for giving us some practical tools to dig deeper 🙂 I hope you enjoy the rest of the posts! Right on, Sister! I needed to hear that today! Thanks for the reminder to start with checking my own heart before the Lord first! So important. You’re so welcome! I need the continual reminder myself 🙂 Thanks for commenting. Thank you so much for offering support and encouragement for both parents and tweens during this special time of change! Oh I am so thankful to be able to do this ! I believe we all need it 🙂 So glad you’re joining us. Excited to be a part of it. There are so many “rules” out there, but what you’re pointing to here is the MOST important thing. Relying on God and being filled with love from Him that we may share that with our children. Excited to have you with us April! Yes! Our starting point has to be GOD for we can do all things thru HIM – even parenting 🙂 Thanks for sharing ! Lee, thank you so much for doing this! We need so much wisdom as parents to guard our tween hearts and lead them in love. 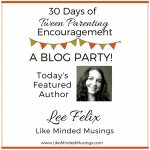 I’m looking forward to every post in this blog party!! Absolutely ! Yes, we all DO need it 🙂 I’m so excited for this party and thankful to have all of you wonderful ladies sharing !